This past holidays season, Carbonfund.org Foundation offered a holidays tree-planting sweepstakes featuring the possibility of giving away a Tesla Model X as the Grand Prize. 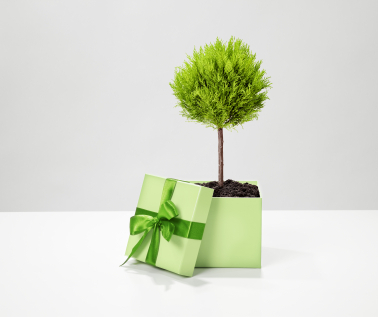 The sweepstakes featured the ability for tree-planting donors to win sweepstakes entries for each of their $1/tree donations, and to earn multiple entries for donations of $25 (35 entries), $50 (75 entries) and $100 (200 entries) each. One free entry was possible by mailing in a postcard to Carbonfund.org’s headquarters. The sweepstakes official rules required that we reach at least $150,000 in tree-planting donations in order for the additional sponsorship to kick in and enable the Tesla Model X to be given as the Grand Prize, while still enabling Carbonfund.org to plant the required number of tree seedlings corresponding to the total tree-planting donations. While we received thousands of dollars in tree-planting donations, which we so appreciate – thank you! – and over a thousand of the free sweepstakes entries by mailing in a postcard (with no accompanying tree-planting donations), we fell short of the required $150,000 in tree-planting donations, as set forth in the Sweepstakes Official Rules. As a result, the Grand Prize became the receipt of one half of the total dollars in tree-planting donations received via the sweepstakes’ donations page during the sweepstakes time frame. The Grand Prize Winner, selected by random drawing of all the entries received, both via tree-planting multiple donations and mailed-in postcards, is George R of Florida — Congratulations to George! We’re very pleased that so many folks learned about our Tesla Sweepstakes and wanted to participate, but we’ll also point out that if each entrant – both donors and mail-in entrants – had made at least a $100 tree-planting donation, we’d be giving away a Tesla – maybe to you! Provide aesthetic, spiritual and cultural benefits to local communities. As always, we appreciate the support of our donors and their commitment to supporting and improving our environment through support to our tree-planting campaigns and carbon offset projects. We wish everyone a healthy, happy, prosperous and more Carbonfree® world in 2018!